Terence H White | Weighing a pig doesn't fatten it. 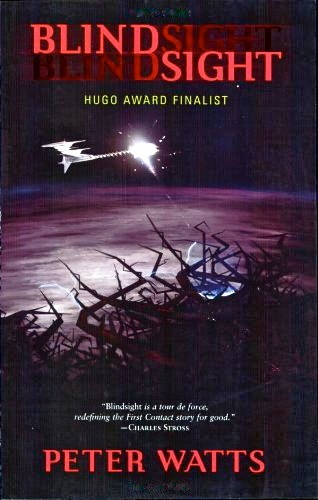 Blindsight is a contemporary classic of Hard SF. I’ve known about the book for years, but I was put off by the fact that it features a vampire – supposedly they did exist, as a kind of side branch of human evolution, and were resurrected using gene technology. I thought that to be very gimmicky. I also got the impression Watts likes to show off all the scientific papers he’s read, adding to an overall braggy vibe that didn’t appeal to me. I did give The Freeze-Frame Revolution a shot though, a 2018 novella by Watts – review here. Turns out I liked that a lot, so I decided to take on Blindsight.